After taking hit after hit and punch after punch from Donald Trump, Arnold Schwarzenegger is finally fighting back. He always responded before, but did it politely. This time, he hit the President where he knew it would hurt the most. Yet, he was still respectful and offered his help. Trump has been needling Arnold for months on his his poor ratings as the new host of Celebrity Apprentice. He even asked for prayers for him at the National Prayer Breakfast. And once the former governor of California announced he wouldn’t return to the reality show, Trump said he didn’t fire him, but his poor ratings did. And now, with Trump in trouble getting heat from all over for his social program cuts and with the announcement that the FBI is investigating his campaign’s involvement in Russia interfering with last year’s election, Schwarzenegger decided now was the time to go after him. He tweeted, “Hey, @realDonaldTrump, I have some advice. See you at Hart Middle School? Here’s more info about #afterschool,” and then attached a video where he slams the President for his low approval ratings and suggests it’s his own fault for cutting programs such as Meals on Wheels and after-school programs. He then invites him to Hart Middle School near Washington to see the good those programs do and ever offers to go with him. Hey, Schwarzenegger has his own problems. 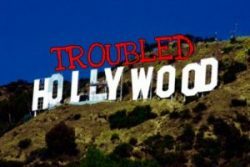 He had an affair and secretly fathered another child, and women who have worked on movies with him talk about him being a lech. But at least he’s a person. He’s an involved member of society. He thinks and cares about other people, even if he didn’t seem to doing that for ex-wife Maria Shriver. He cares about the climate, doesn’t want to see social programs cut, etc. 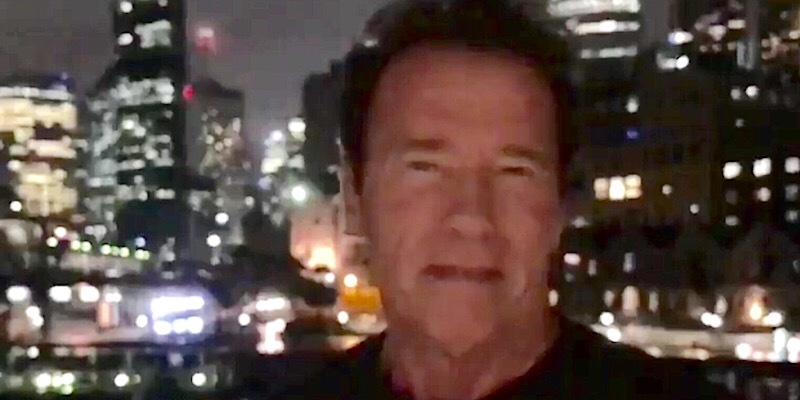 Watch Schwarzenegger’s video in his tweet and judge for yourself. Interestingly, there’s been no word from Trump. He hasn’t fought back. But perhaps he has more worrisome things going on such as his entire presidency falling in around him more and more every time he turns around. It’s your move, Mr. President.